If a child loses a parent or sibling, we want to help them cherish the memories they have, whilst helping them look to the future. After learning how to navigate the stormy waters of grief, we want to help others who find themselves walking this path in our shoes. We can provide memory boxes to acute hospitals, which can be offered to children following the death of a close loved one. This box could contain materials to take a handprint or to keep a lock of hair, as well as a pair of teddies, a journal and a book. It can help them begin to process their feelings. We want to help children create new memories during very difficult times. Our aim is to raise funds to provide short breaks and special days out for bereaved children and their families. Ultimately our target is to buy a holiday home that bereaved families can enjoy. 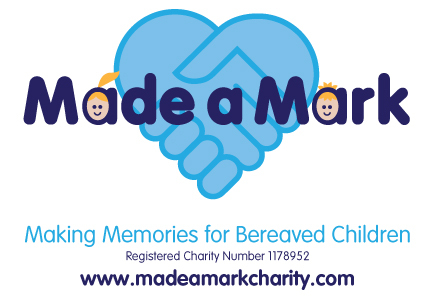 The charity was founded in 2018 in memory of Mark Knapp, a much-loved husband and father of 2 young children, who died very suddenly and unexpectedly. Mark made such a positive impact on so many lives during each and every day of his own life that we want this charity to honour his memory. Our aim is to help families who are dealing with the grief of losing a parent or sibling. At the hospital, we want to fund training for staff and have a supply of memory boxes for children to allow staff to better meet their needs. To give families the opportunity to create new memories we plan to buy a holiday home. This will give families the chance to escape their everyday routine and have fun. With your help we WILL help children keep smiling during their hardest days.